Gray Whales spend much of the year on the move, a necessity when their yearly migration is 10,000 miles round trip and they swim at 3-6 miles per hour. They split the year between the Bering and Chuchki Seas (north of Alaska) and the West Coast of Baja Mexico. During the summer Gray Whales feed on small crustaceans in the feeding pools of the Arctic.They eat as much as they can to build up their body weight for the long trip south to Mexico, during which they lose 16-30% of their body weight. Their 2-3 month trip south begins around October, led by pregnant females anxious to get to the lagoons in Mexico to deliver their calves. Gray Whales swim 24 hours a day! And, yes, they can swim in their sleep. In the Monterey Bay, we are lucky to be on the Gray Whale migration route, which provides an incredible opportunity for whale watching. We see Gray Whales between December and May. They migrate south between December and mid-February. They migrate north between mid-February and mid-May. 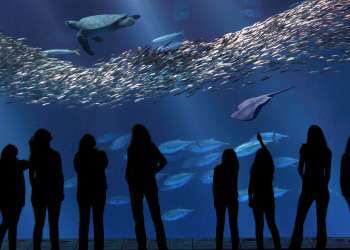 In 2016 they arrived in Monterey Bay right on time, on December 1st! 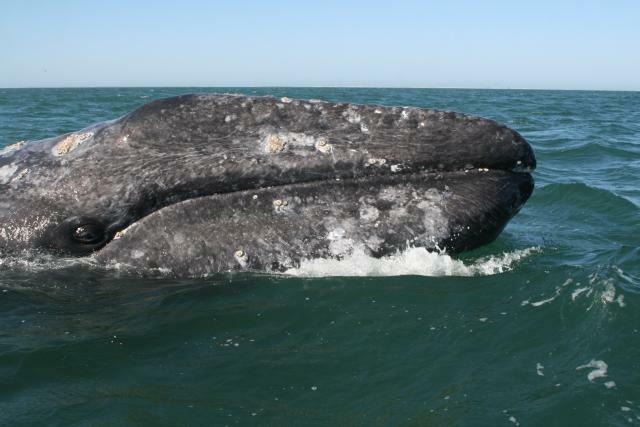 Once the Gray Whales arrive in the lagoons of Mexico, they breed or give birth. Females are pregnant for 12-13 months and give birth every 2-3 years. Newborn calves are 12-15 feet long and weigh 1,500 pounds! 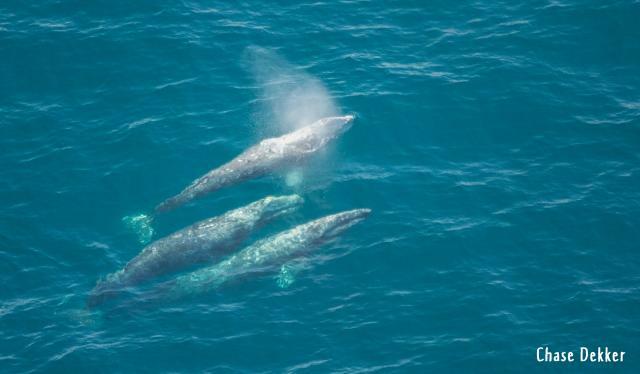 The newborns are a darker grey than the adults and have yet to accumulate white barnacles and orange whale lice that give Gray Whales their mottled gray coloring. Visitors to the lagoons can witness babies approaching their boats and soliciting interactions with humans. Dorris and Mike, co-owners of Sanctuary Cruises Whale Watching, visited the lagoons in 2013 and had a fantastic experience. Calves drink 50 gallons of milk per day while in the lagoons, in order to bulk up on blubber for the 2-3 month trip north to the feeding grounds. Come out with Sanctuary Cruises this winter for a chance to see the Gray Whales on their long yearly journey. 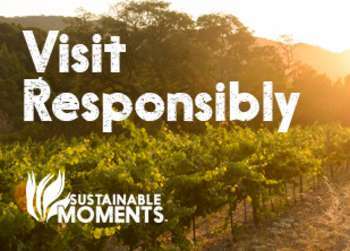 Visit www.sanctuaryruises.com or call 831-350-4090 to reserve! As Business Manager at Sanctuary Cruises Whale Watching, Madeline coordinates communications and private and educational charters. She has lived in Spain, Thailand and Peru. She enjoys sharing the unique food, history, music, forests, and ocean of her hometown of Santa Cruz and the surrounding area with visitors and with her toddler son, Wilder.